On June 20th, moviegoers who are sick of explosions, superheroes, car chases and other CGI-infused mayhem will get a breath of fresh air in the form of Jersey Boys, director Clint Eastwood's adaptation of the wildly popular Broadway musical. Will Jersey Boys join the list of successful musical adaptations that includes Chicago and Mamma Mia! or will it be this year's Rock of Ages? BoxOffice takes a closer look at the film's commercial prospects this week. - The play has been running successfully since 2005. You can't put a price on the brand recognition that comes from that kind of run. - Never underestimate the power of a strong piece of counterprogramming during the summer season. It's important to remember that Mamma Mia! opened during the same weekend as The Dark Knight in 2008. - Moviegoers over the age of 35 are going to be this film's core audience. Even though that group may not rush out opening weekend, they are a loyal bunch when given content that connects. As a result, Jersey Boys could show serious staying power. - For every successful musical adaptation there is always at least one dud. Let's not forget the poor performance of Rock of Ages in Summer 2012. - Other than Christopher Walken, the cast is full of faces that most people won't recognize. - This isn't likely to cross over in a substantial way with twentysomething moviegoers the way that other musicals could. - Opening one week after two of the strongest films of the summer--How To Train Your Dragon 2 and 22 Jump Street--will not be an easy task. Check out our prediction for Jersey Boys and others in the table below. 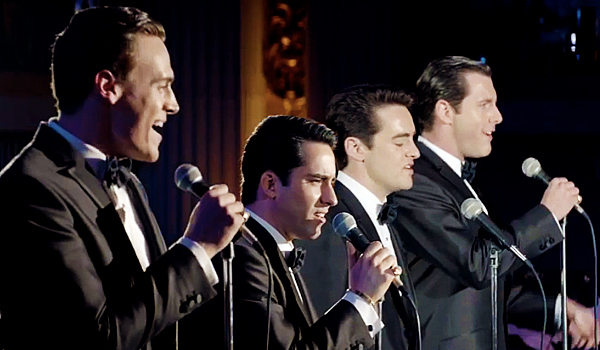 Jersey Boys Jun 20, 2014 Warner Bros. Edge of Tomorrow Jun 6, 2014 Warner Bros.